Consumers and businesses use a variety of solid bulk materials packaged in open mouth bags, which provide a crisp, clean, aesthetically appealing product at the point of sale. Open mouth bags’ wide top ends are suited for a variety of different products with widely varying mesh sizes, bulk densities and flow characteristics and filled by Gross Weigh or Net Weigh scales. Since open mouth bags are typically constructed of kraft paper, poly woven mesh, plastic film or burlap, all of these bags require a sewing head, heat sealer or pinch bag closer after filling. An empty bag is placed on or below the fill spout of the bag scale. The bag can be placed on the fill spout by hand or by an automated open mouth bag placer. Material fills the bag. For gross weighing, the fill spout of the packer is suspended from an electronic load cell that accurately weighs the amount of product in the bag. 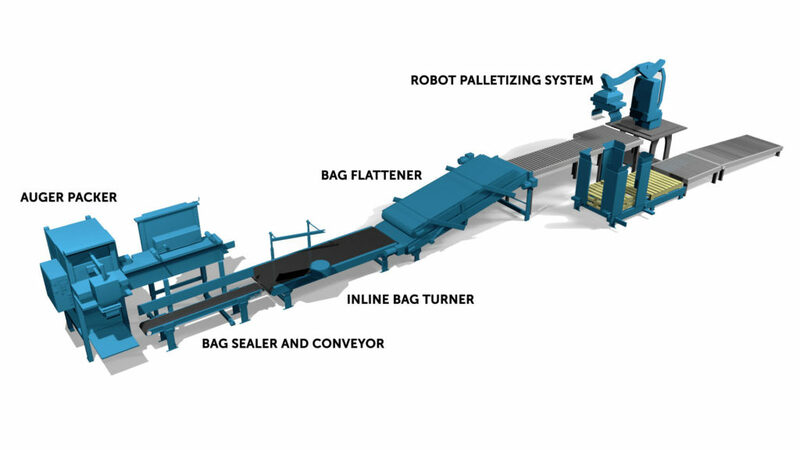 In net weigh applications, the material is pre-weighed in scales above the open mouth bag filler, then discharged into the open mouth bag. Filled bags are released and dropped to the sewing conveyor belt. Gravity scale: uses the products’ bulk density and flow characteristics to fill the open mouth bag via cutoff gates that close when the bag reaches the desired weight. Free flowing granular products such as grains, fertilizer, salt and small pellets are packaged on these scales. Vibratory feeder scale: uses side-to-side movement of the vibratory tray to transfer the product into the bag. Varying vibratory speeds move difficult materials or provide precise measurements of granular material. Materials that do not flow easily or have irregular shapes such as ground coffee and light density such as grass seed or granola usually incorporate vibration in open mouth bag fillers. Belt feeder scale: uses adjustable product height and speed settings to accurately deliver product into the open mouth bag. These scales are suited to packaging material that tends to stick to itself during the fill process like sweet molasses-based cattle feed, mulch and topsoil. Auger packer: uses a screw or auger to move the product into the bag. An auger packer packages powders to granular material and can be used for difficult to feed materials such as starches and flours or easily fluidized powders. Complete your packaging system to ensure your line keeps moving. 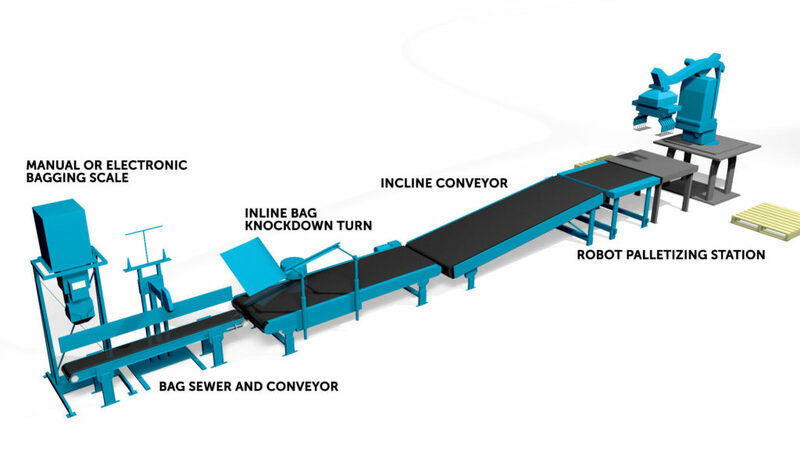 Magnum Systems, provides a variety of packaging line accessories, from bag sealers and sewers, to conveying, flattening, check weighing, and palletizing equipment. Some people sell components, we provide complete packaging solutions from rail-to- pallet and everywhere in between. © 2019 Magnum Systems Inc. All Rights Reserved.